Q. How do I add references to RefWorks? There are a couple different ways to add references to RefWorks. 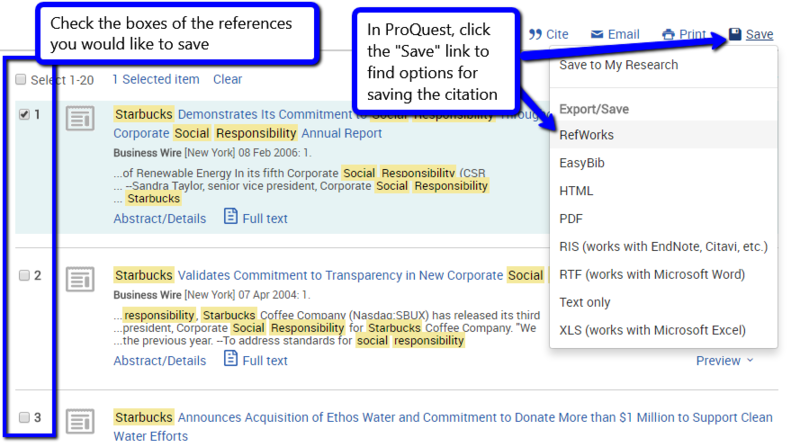 This FAQ will discuss how to save references or citations from a ProQuest database search. 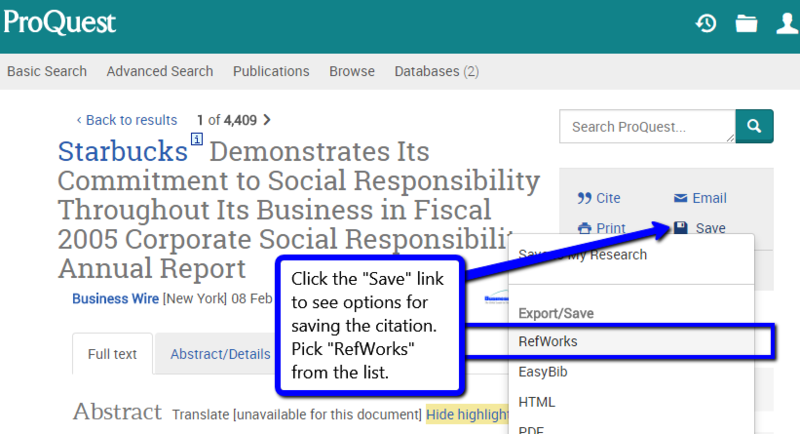 NOTE: In order to save citations to RefWorks, you will need to have an account with RefWorks. 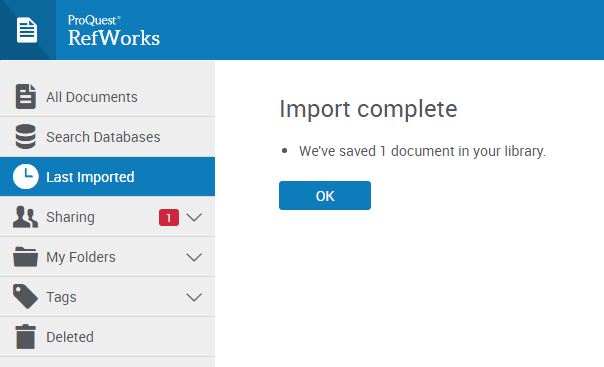 NOTE: If you have an account with the old or legacy Refworks, you will be asked which version of Refworks you would like to export your citation to. Please choose the one that you prefer, however, this FAQ will focus on the new Refworks. If you are not already signed in, you'll be prompted to sign in. Please do so. To see the full details of a reference, click the title of the reference and a side bar will appear with all of the details.